2019 season passes will be available for purchase through June, online and at the field-side Pro Shop. Season passes are non-transferrable and non-replaceable. Passes will be conveyed to subscribers in person on Saturdays only, starting on Opening Day in June. Prices and packages are subject to change.  To give a gift subscription: On the PayPal checkout page, please uncheck the option "Ship to my Billing Address" and enter the recipient's information in the shipping section so that the subscription is recorded in their name. If this is a first-time subscription, please follow the directions at the bottom of this page to create a new account and make your purchase. If you would like to receive a personalized certificate to present to the recipient, please email with the name of the recipient and the mailing address you would like the certificate sent to. Guarantees seating for passholder in any available, non-reserved seat, on a first-come-first-serve basis on game day. Cash bar / wait service provided. No outside beverages permitted within Pavilion enclosure. No pets permitted within Pavilion enclosure. No additional seats can be added to cocktail tables. Table locations are on the lawn, inside Main Arbor entrance to Pavilion. Cash bar, wait service provided. No outside beverages permitted within Pavilion enclosure. No pets permitted within Pavilion enclosure. Subscription is Nonrefundable. Passes are non-transferrable and non-replaceable. Passes will be conveyed to subscribers in person on Saturdays Only, starting on Opening Day in June. Terms and conditions: if an Insider Table's use is not confirmed by 5pm on Friday (24 hours prior to gameday) the table will be released for resale. 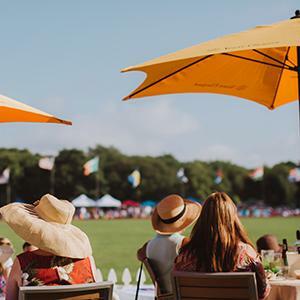 If an Insider Table remains unoccupied after the first chukker, Newport Polo reserves the right to release the table to waiting customers on gameday, in consideration of the limited assets, discounted membership rate, and waiting customers on game day. Cash bar/wait service provided. No outside beverages permitted within Pavilion enclosure. No pets permitted within Pavilion enclosure. For tables located on the lawn (only), an additional 1-2 seats can be added from time to time, at the Patron's request. Terms and conditions: if a Patron Table's use is not confirmed by 5pm on Friday (24 hours prior to gameday) the table will be released for resale. 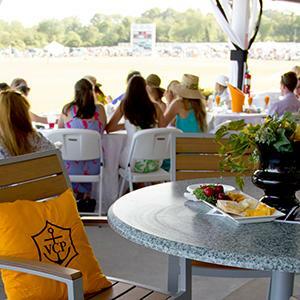 If a Patron Table remains unoccupied after the first chukker, Newport Polo reserves the right to release the table to awaiting customers on gameday. 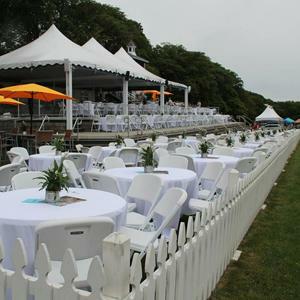 Exclusive invitations to private Newport Polo events; discounted member rates where appropriate. Subscription is Nonrefundable. Discount Card is non-transferrable and non-replaceable. Electronic guest tickets will be emailed. 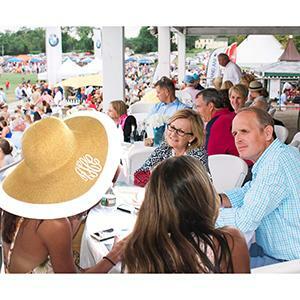 (Can be upgraded to Corporate VIP Table Sponsorship to include promotional benefits - please inquire for details: agnes@nptpolo.com). Terms and conditions: VIP Lounge and Specialty Bar open at 3PM / 2PM in September. Hors d’oeuvres table service starting at 5PM (4PM in Sept) on a tiered display in the center of the table. 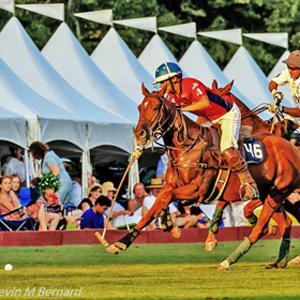 Menu is pre-set by Newport Polo; individual selections/substitutions are not available. 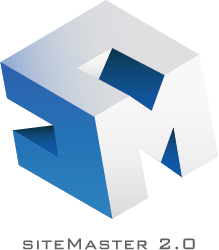 Click Here for a sample menu. Drink tickets are redeemable for any single serving beverage on our bar menu, excluding Veuve Clicquot Champagne; gratuity not included. *Polo Lounge and Table location subject to change at the discretion of Newport Polo. If a VIP Table's use is not confirmed by 5pm on Friday (24 hours prior to gameday) the table will be released for resale. 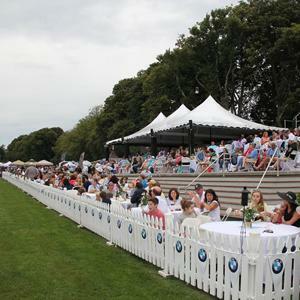 If a VIP Table remains unoccupied after the first chukker, Newport Polo reserves the right to release the table to waiting customers on game day. Subscription is Nonrefundable. Discount Card is non-transferrable and non-replaceable. Electronic guest tickets will be emailed. (Can be upgraded to Corporate VIP Sponsorship to include promotional benefits - please inquire for details: agnes@nptpolo.com). Refund Policy: Season subscriptions are Nonrefundable. To renew your season subscription or purchase additional season passes, log in to your member account using your username and password. Once logged in, you will be directed to your account dashboard screen and may select the season pass(es) you wish to purchase. To make your first season subscription to the Newport International Polo Series, please complete the registration form below to create a user account. After you submit the registration form, you will receive an email with a link to activate your account and log in. Once logged in, the season pass purchase buttons will appear. I agree to the terms and conditions of this Membership as stated above.